Brian is a graduate of Pottsville Area High School. He studied at Northampton Community College, where he obtained an associate’s degree in Applied Science and Certificate of Mortuary Education. He then served his internship with Heffner Family Service, at Schlitzer Allen Pugh Funeral Home in Pottsville, PA. In 1996 he became a licensed funeral director, working exclusively at this location. In 1997, He began working at the two Kniffen O’Malley locations. Over the next few years, Mr. Leffler first accepted the position of general manager/ funeral director of the Kniffen O’Malley locations and several other locations. In January 2004 the title of Regional Manager, overseeing nine locations. He was now in charge of the overall success of Schlitzer Allen Pugh Funeral Home in Pottsville, PA, Vickery Funeral Home in Troy, PA, Kniffen O’Malley Funeral Homes in both Avoca and Wilkes-Barre, PA and Robert’s Funeral Home in Wellsburg, NY. On August 16, 2013 Mr. Leffler proudly announced his acquisition and ownership of these fine businesses. Brian and his wife Victoria are blessed with two children, Gage and Sloane. Brian is a member of the Queen of the Apostles Parish, Avoca, Avoca Hose Company #1, and serves as an Assistant Coach for Duryea tee ball and coach pitch leagues. 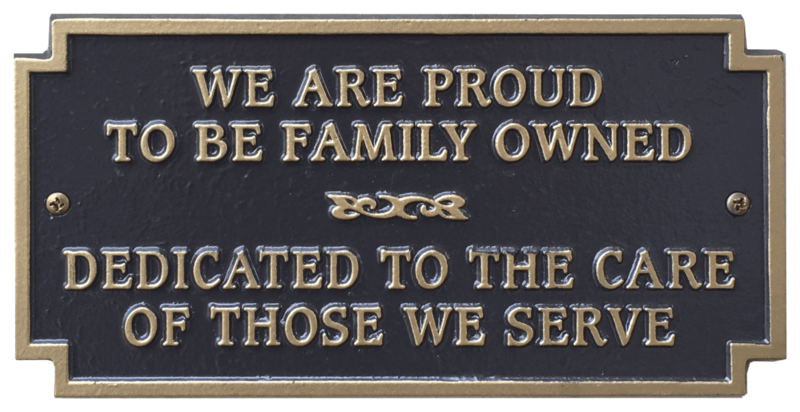 The entire Leffler family would like to say how proud they are to be able to continue the legacy of providing the best funeral and cremation services to these locations and the surrounding communities. Rynell has been an associate with us since September 2009 after graduating from the Pittsburgh Institute of Mortuary Science. She is a licensed funeral director and serves families at our Avoca and Wilkes-Barre locations. Originally from Waynesboro, PA, she now resides in Plains, PA with her husband Michael Van Luvender and their daughter, Rya. Rynell enjoys hiking, reading and spending time with her family. Rynell is also a Certified Celebrant. If you are not a member of a church or if you simply do not wish to have a religious service, she can help you. As a Certified Celebrant, Rynell works with families to create a meaningful tribute that reflects the personality and life-style of the deceased. She received her training and certification from the In-Sight Institute. Susan has been an associate with us as an Administrative Manager for the funeral homes since she started in 1997. Her smiling face and caring disposition always makes both staff and client families feel at ease the moment they walk through the door. Chris is a native of Avoca, where he resides with his wife of 46 years, the former Diane Vermac. Together they raised 6 children and have been blessed with five grandchildren. Chris is a graduate of St. John’s High School, Pittston. He served in the 402 Military Police Unit in the Wilkes-Barre Army Reserves for 6 years. He was employed by Craft Oil, Avoca, for 40 years, where he was Vice President of Sales and Operations. Chris is very involved in the community, having been a member of the Avoca Hose Company #1 since 1965, where he has had the distinguished honor of serving as chief for 35 years. He has also been a PA State Fire Instructor since 1984 and a member of the Friendly Sons of St. Patrick of greater Pittston. Chris and Diane also belong to Queen of the Apostles Parish, Avoca. He has been associated with Kniffen O’Malley Funeral Home since 2007. Joe is a lifelong resident of Duryea and resides in Blueberry Hill Estates. He is a graduate of Pittston Area School District. After earning an associate of Science degree from Luzerne County Community College, he continued his studies at Wilkes University being awarded his Bachelor of Arts degree and two years later his Master of Science degree in Elementary Education. Joe was hired by his home school district as an elementary teacher, where he continued his studies earning his Doctorate Equivalency. Throughout his thirty five years as an educator, he was chosen as Wilkes University’s teacher of the year, for two consecutive years, was nominated to “Who’s Who Among America’s Best Teachers”, for three years and received numerous awards and recognitions during his teaching career. Wanting to give back to his community during his retirement, today you will find him volunteering, one day a week, at Geisinger Wyoming Valley Hospital. Here, his responsibilities include census coordination and guest and patient assistance. Joe also volunteers in the Ambassador Program at the Wilkes-Barre Scranton International Airport. Along with welcoming travelers passing through this busy facility he along with other friends present and host guided tours for local classrooms and other civic organizations. He has been associated with Kniffen O’Malley Funeral Home since 2012. Tony is a lifelong resident of Avoca, where he resides with his wife of 58 years, the former Mary Brunton. They have 5 children and 8 grandchildren. Tony graduated from Scranton Technical High School in 1950. He then went on to proudly serve his country in the United States Army during the Korean War. Tony worked at Tobyhanna Army Depot for 30 years in the machinery department. Tony has been involved in the Avoca community for many years. He and his wife are members of Queen of the Apostles Parish and he has been singing in the church and Avoca Community Choir for the past 38 years. He is also an original member of the Avoca Jolly Boys, past president of the Holy Name Society of the church and past commander of the American Legion, Avoca. 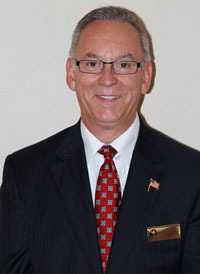 He has been associated with Kniffen O’Malley Funeral Home since the mid 1990’s.